Last month on my weekend with my sister we had the great idea to use old Rolodex holders and cards as art journals. You can read more about the beginnings of this project here. 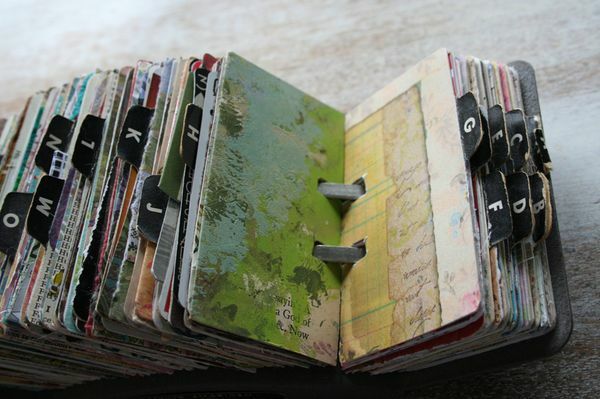 In searching for ideas for this project I have run across a some other artists who have made Rolodex art journals also. At Tuscan Rose she calls her project Scrapodex. Her project is from a few years back but if you click on Scrapodex in her category list she has a lot of posts about her project. Collage artist Seth Apter called his project Rolodecks. He didn't have a Rolodex so he used a small box as his holder. 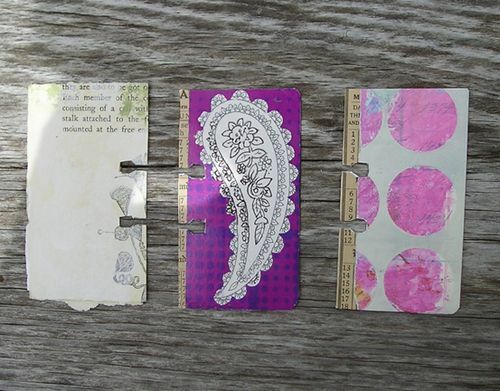 Kristin Peterson at Altered States Studio often uses Rolodex cards to get her creative juices flowing. One of the things I am enjoying about this project (besides the fact that it includes vintage office supplies) is that it's quick. My cards are 3 x 5. 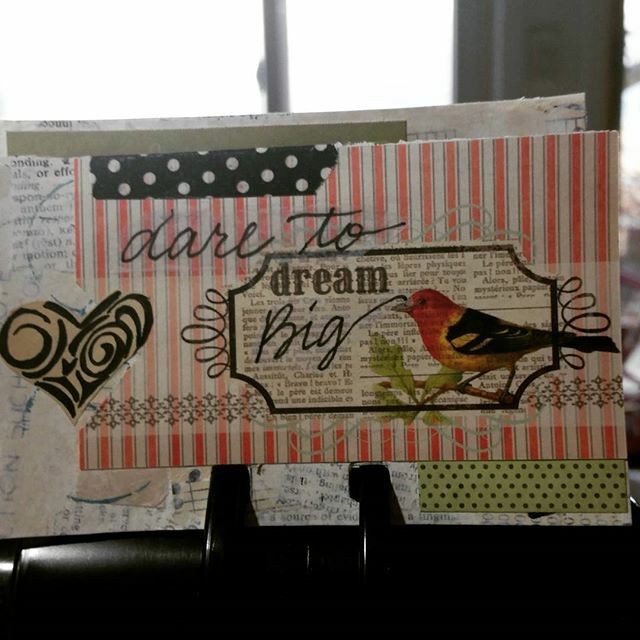 Once I built up a little stash of covered cards it was very easy to fit a little art in after a busy day and complete a full card in a short amount of time. I'm going to fill the "A" section with a card a day for Advent. 30 Day Blogging Challenge day 12. Wow this is so artistic. It's beautiful! I love these! 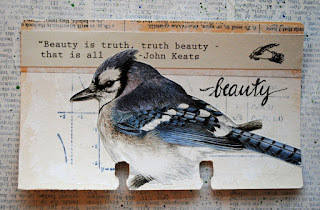 Beautiful and the quotes and images are inspiring. These are gorgeous! So cool! 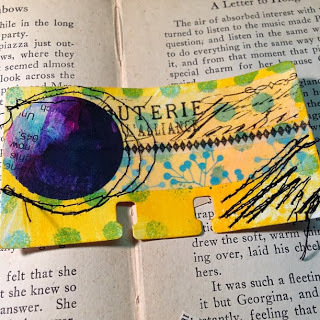 I love smaller art pieces. I feel accomplished when one is completed. Beautiful! Such an interesting post. I didn't know so many people used these cards. Neither did I, Bernice! It's been a fun project and I'm looking forward to taking it through Advent. Very cool. 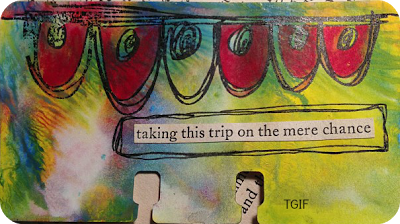 You are inspiring me to put a journal together for Advent. Something small, like this, would be ideal. 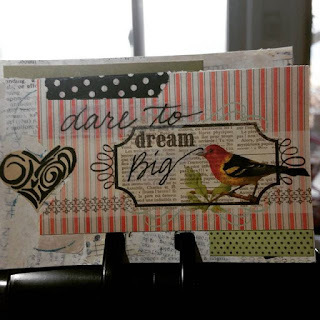 Small and quick is where I am at in life and art right now! These are SO cool, Mary! How very amazing! Each one is a miniature work of art! I am so enjoying working on a small scale. Thanks for stopping by Autumn! This is super cool! 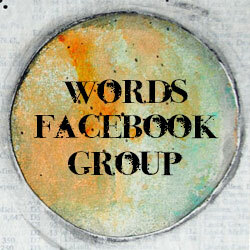 I shared it with my blog readers so they can find this post. 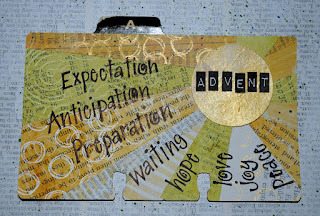 I like the idea of a a card a day for Advent. Your rolls are inspiring. 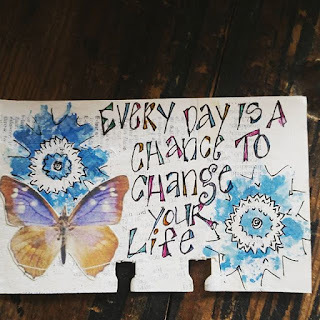 I am struggling right now in creating them and this gave me a burst of inspiration. I am drawn to the simplicity of them. I think I make mine too complicated then get frustrated. So glad you stopped by, Pamela. 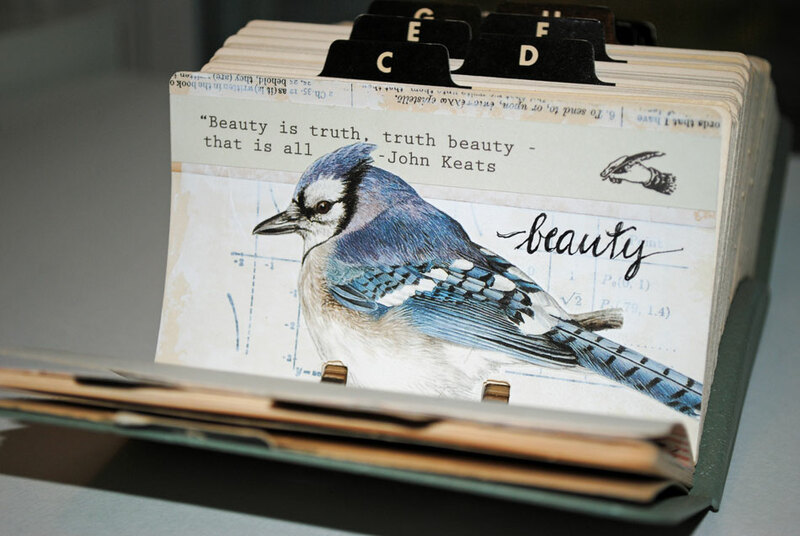 Are you posting your Rolodex art cards anywhere? I would love to see them! I really like this idea. Your work is beautiful. Thanks for sharing. So cool! How do you decorate around the holes in the bottom of the cards? 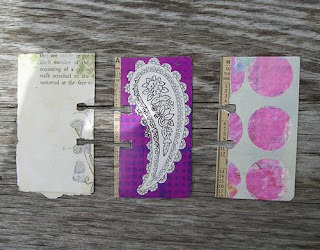 Susan, I usually glue my papers and other items on and then cut out the holes from the reverse side.